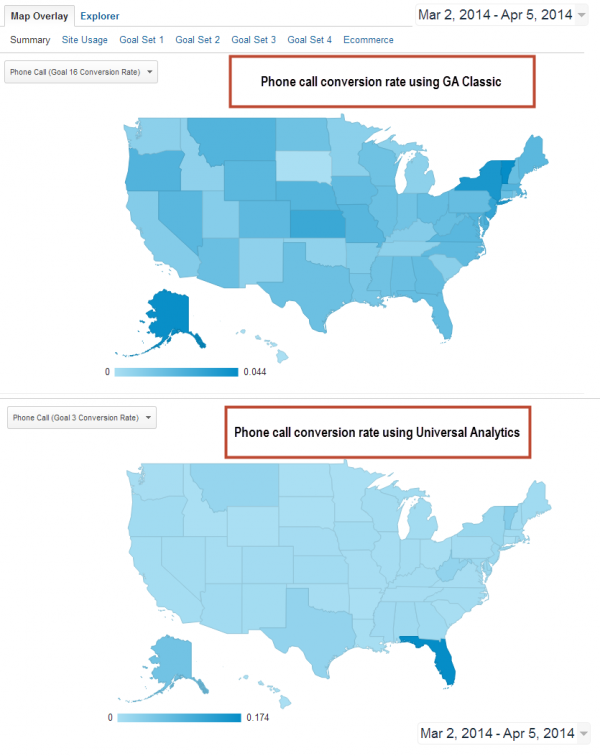 Google’s Universal Analytics is Out of Beta – Time to Switch? 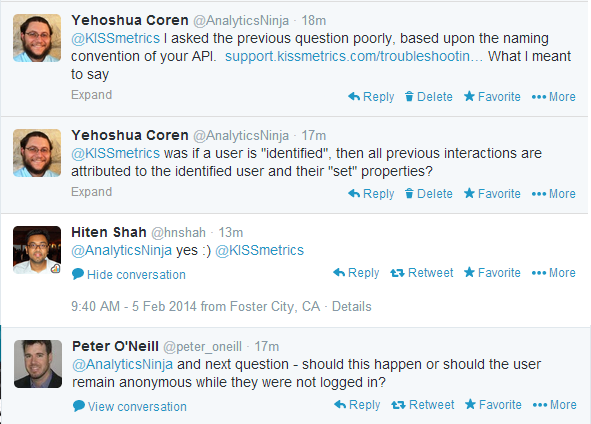 The big news last week (at least for folks like me) was that Universal Analytics finally came out of beta. Is it time for you to switch? One of the most touted feature improvements over Google Analytics Classic is the introduction of UserID. Google lists 4 benefits of using UserID. Connect your acquistions, engagement, and conversions. While I see the move towards a most person / customer centric view by the GA team to be a big step in the right direction, I think that at the current juncture the UserID reporting (and data model) falls flat. Full disclosure: I’ve only had access to the UserID reports for a few days. AND I am acutely aware that the GA team is constantly innovating and improving their product at a dizzying pace. That means that the only thing I can truly count on when it comes to GA is that the product will continue to improve (and hopefully not make this blog post completely irrelevant in the next 3 days). So, why does UserID currently fall flat? Doesn’t the ability to connect all the dots sound like a marketer’s dream? A huge limitation, and this applies to many things in GA (such as goals), is that data is not retroactively processed. That’s a big deal when it comes to the utility of UserID. Let’s say that I visit a website after clicking on a link in Twitter on my phone. It’s been known to happen. Even better, it’s a promoted tweet. I then go to the website on my desktop computer and sign up for a free trial since, unfortunately, their signup process was not so mobile friendly. Most likely, I Googled the site name or remembered the URL. For the next two weeks I’m using the trial product, when suddenly I get an email letting me know I get a bar of solid gold for purchasing the product within the next 20 minutes. Since the product I was evaluating only cost $299 per year and a 300 gram gold bar is worth more the $12.5K, I totally jump on the deal. Later, I realize that it’s only a contest to win the gold bar, but I’m too lazy to cancel my subscription because it means a phone call and waiting on hold for 30 minutes. It’s been known to happen. In the image above, each rectangle is a session, and the areas within the dotted lines are included in the UserID View. 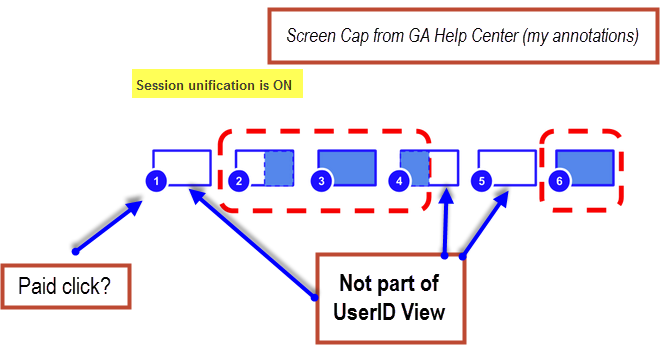 The GA team describes this aspect of how the UserID functions as “session unification.” It’s even something that you can turn on and off in your UserID View. In short, if you apply a UserID to hits in the middle of a session (i.e. authenticate mid-session) then the hits that did not contain a UID parameter will also be processed into the UserID View. If the UserID ceases to be present during the session, those hits are excluded from the View. I do hear Peter‘s question. It’s a very deep question that I believe deserves rigorous debate. For now, I’m siding with Hiten. (Please note that I believe Peter is only asking a question here, not taking a stand). 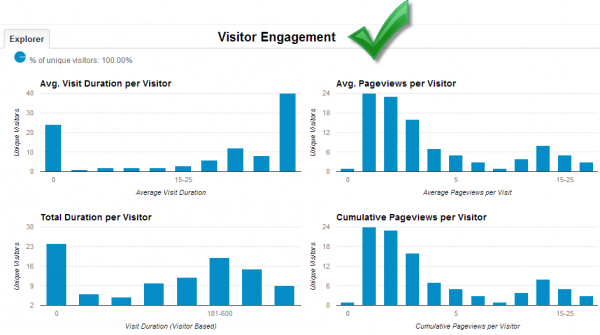 In other words, I’d really like to see true visitor stitching in GA like Hiten has created in KissMetrics. While I’m still a GA guy through and through, I must admit that I think the current incarnation of UserID misses the mark big time in this regards. Something else to keep in mind about UserID is that the hits associated with a UID are processed into their own view. Google says that we benefit from “the ability to analyze the signed in experience.” While I do agree with the statement that, “Because signed-in users usually engage with your content very differently than users that don’t sign in, the User ID lets you segment this subset of your traffic in your Google Analytics reports“, I object to the usage of the phrase “lets you.” At least for now, UserID can only be seen in it’s own View. I’d much rather have the option to create a UserID View, as well as view ‘authenticated users’ within a general View. Certainly, standard practice has been to compare logged in vs. non-logged in user experience via custom variables or custom dimensions within the same View for a long time time. I think I’m missing the benefit of having UserID related reports present only in UserID Views. When I think about it, the UserID framework is more than just a move in the right direction by Google. For sites with a “Signed In” experience, it’s a big win. Granted, I see some real issues with the current framework (as I voiced above). But I’m sincerely grateful to the GA team for their tremendous product development and I’m certain that even more great things are to come from UserID. I’m a huge fan of the Measurement Protocol. It has made it much easier to send server-side data to GA. One of the announcements from last week was that the IP address of the associated hit can now be sent to UA. This was something that was possible using the previous API but is now available in Universal Analytics as well. Previously, in order to pass Geo-accurate server-side data to GA, one needed to process hits through the data processing pipeline reserved for Mobile apps. (Web Property IDs that start with MO- instead of UA-). The standard ga.js client-side API worked through this pipeline as well. With that said, creating a working data model where session integrity was upheld in GA Classic was a real pain. Doable, but not nearly as straightforward and clean as using Measurement Protocol. There are tons of practical business applications that the Measurement Protocol opens up for GA. (See my post about measuring profit, while not sharing profit margins with competitors). While it’s worth noting that GA is certainly not alone in offering server-side tracking capabilities, and there is still room from improvement (latent hits more than 4 hours old might not be processed), the Measurement Protocol is a BIG reason for many companies to embrace Universal Analytics. In my humble opinion, this is the main reason to upgrade to Universal Analytics. To put it simply, a digital analytics implementation needs to be customized to be in line with a company’s business objectives and answer their business questions. “Customized”, for me, usually translates into “Custom Dimensions”. Custom Metrics are nice too, though I really wish you could set their scope. The ability to see the name of the Custom Dimension in reports should not be downplayed. Better reporting leads to better tool adoption within organizations. While 20 Custom Dimensions is certainly not enough for most businesses (yes, I know that folks can pay $150K/yr for an extra 180 of them), it is a whopping 4X increase over GA Classic. Again, I believe Custom Dimensions are the number one reason companies need to be thinking about moving to Universal Analytics. The DoubleClick integration was the main impediment to suggesting that companies upgrade to Universal. I believe that the DoubleClick cookie data is some of the most actionable data in GA from a marketing perspective. 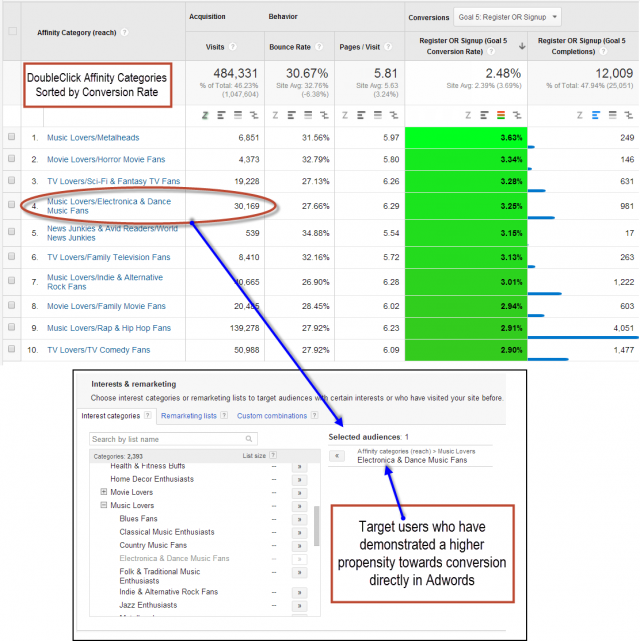 If you’re doing Display Advertising, the user behavior of the entire DoubleClick targeting system is visible directly in GA. It’s a simple as seeing what’s working and see what’s not and creating your AdWords targeting and bidding appropriately. (Okay, not that simple, but pretty close). Are you ready to make the upgrade to Universal Analytics? Let me know in your comments below. Thanks for the comprehensive review Yehoshua! I totally agree with you that the main reason to do the upgrading is the Custom Dimensions/Metrics. This is a significant change compared to the classic version, despite the limitation with the DC integration. I had an intense discussion with a number of colleagues before the Universal went public, and i said that the old lists created with the Classic will NOT move to the Universal (so there is no real reason why not upgrade). Do you know if this is really what happens? At this time, I’m not sure about list migration. That would be a real issue if they don’t move. Please feel free to comment here again if you get some confirmation of the behavior. I’ll keep an eye on it myself, though I won’t be upgrading any clients until GTM is ready. 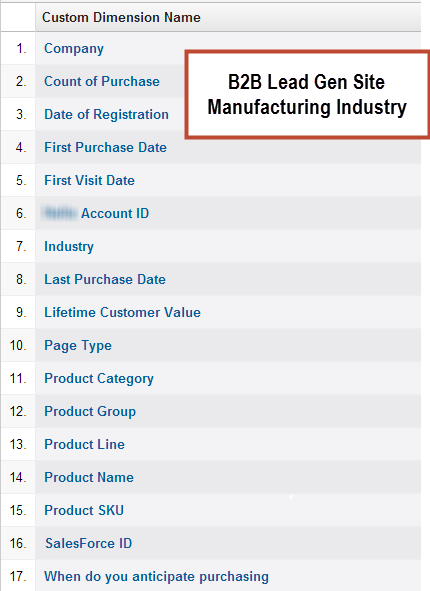 We are just now beginning to mature in our usage of Analytics and Tag Manager, so your articles are a big help for us. I’m really looking forward to implementing User ID in our reporting and can’t wait to get access. Since a User ID View is tied to a Property, how does this actually work for desktop sites and mobile apps? From my understanding, Google suggested that mobile apps and websites should be their own separate properties. With different tracking IDs, how does one link the data between the 2?